I'm failing at documenting our girl here but our biggest praise of being 4 months is not needing to get a helmet to correct her head. It's progressed over time and we're celebrating that little victory. 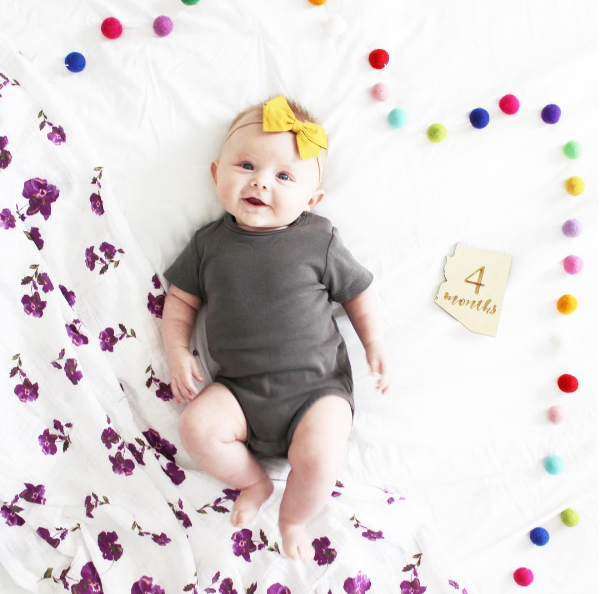 Happy 4 months, Hollyn Bug!